Improve your Cam Cam with these new accessories! New 12mm and 23mm camera heads come with a flexible spring joint between the camera head and cable allowing the camera to navigate around bends easier. USB cameras plug straight into a laptop from which a camera inspection can be preformed. 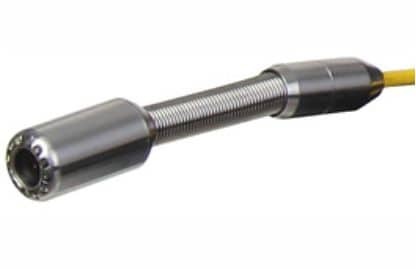 The tiny 8mm head is useful for inspecting small diameter pipes where other cameras can not be used. The USB camera has 4 led lights with adjustable brightness. 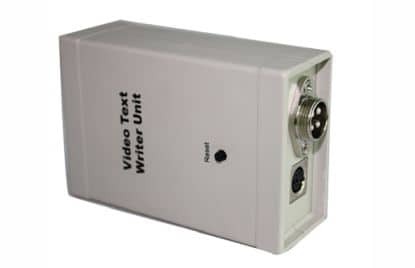 Video text overlay unit uses signal overlay technology which allows the user to type text overlay on cam-cam video footage. The inspection camera and a keyboard are plugged into the video text overlay unit. – The video text over lay unit is plugged into the inspection camera box. – This unit can input the numbers from 0-9, 26 letters and 14 different punctuation marks. – The unit supports 3 lines, 26 row characters display. – The arrow keys on the keyboard are used to position the cursor on the screen where the text will be typed. – Text can be wrapped around the top & bottom or either side of the screen.